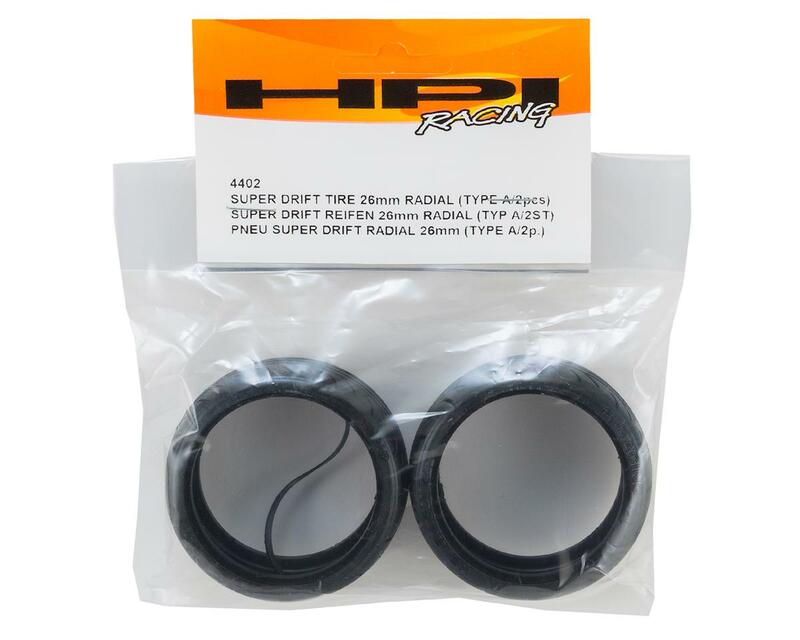 This is a pack of two replacement HPI Racing 26mm Super Drift Radial Tires. These treaded Super Drift Tires will give your drift car a cool realistic look. They are molded from hard compound rubber that has been developed purely for drifting. These are made from a hard rubber compound that is designed more for intermediate and advanced drift drivers. 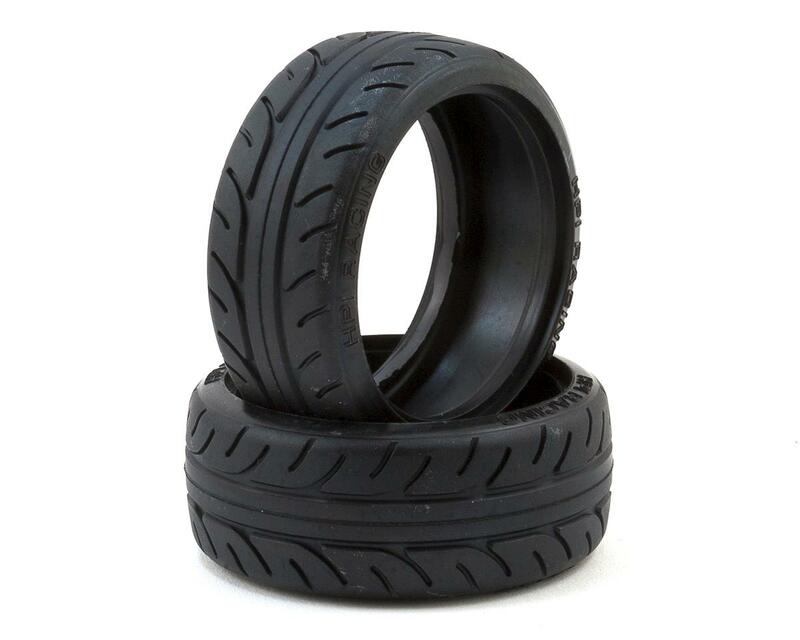 If you're just starting to learn how to drift, use a set of T-Drift tyres (HPI4406) or Stage-D tyres (HPI35401) to get used to drift driving first.